How and where choreographers find stories has changed throughout the art form's history. How do you tell a story without words? If you’ve ever been embarrassed by how bad you are at charades, you’ll know it’s no easy feat. But choreographers have been doing it for centuries – sometimes with mime but also without, giving dance its own eloquence. They’ve sought inspiration from a remarkable range of sources – whether folktales, literature, real life or their own imaginations. The most longstanding literary ballet must be Don Quixote. Miguel de Cervantes’s novel, published 1605–15, has been inspiring ballets since at least 1743, when an unknown choreographer mounted Don Quichotte chez la Duchesse for the Paris Opera. He was the first of many, though the version with the most longevity has proved to be Marius Petipa’s 1869 version (used by Carlos Acosta in his production for The Royal Ballet). 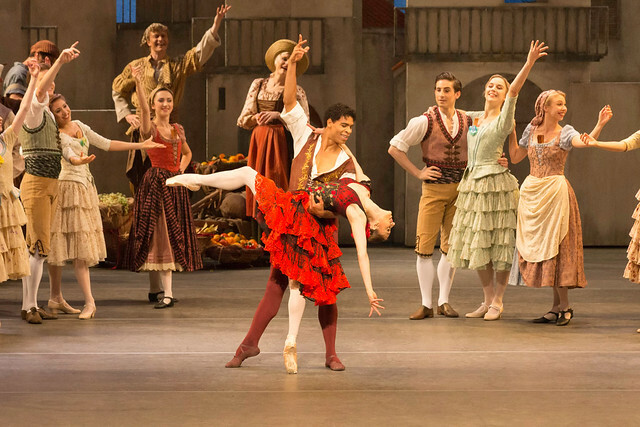 Balletic Don Quixotes tend to sacrifice Cervantes’s philosophical consideration of the human condition for a cheerful rendition of one of the novel’s many absurd episodes – in Petipa's, where Don Quixote helps two young lovers get together despite the wishes of her parent. Another of the oldest ballets still going strong is Jean Dauberval’s 1789 La Fille mal gardée (though modern audiences know it best through Frederick Ashton’s 1960 version). Unlike Don Quixote, the origins for this are entirely obscure – suggested sources includes an opera of the same title but with a different story and different music, or an 18th-century print of a mother scolding her child. Slim pickings indeed. You might recognize the story, though: Lise loves impoverished Colas; Lise’s mother wants her to marry wealthy Alain; the lovers find a way (this time without a wandering knight's help) to get the mother to forget Alain and give her blessing to their wedding. In fact, much like commedia dell’arte, 19th-century ballet tended to use the same recognizable characters in different contexts – a handy tool for audiences to figure out what’s happening. In a ballet fantastique you could expect to find the hero, the good woman, the bad woman and various mischievous magicians to keep the plot going. Petipa’s 1877 La Bayadère is a prime example. He took his story from the ballet Sacountala, created by his brother Lucien in Paris in 1858, which itself was based on a 5th-century Sanskrit play by Kālidāsa. None of that really matters, though: all it adds is local colour for a story where the demure Nikia loves the heroic Solor who is tempted by the extremely bad Gamzatti who, with the help of the scheming High Brahmin, eventually brings about her and everyone else’s deaths, with the lovers united in paradise. The same character tropes underpin a key preoccupation of 19th-century ballet – fairytale, determined by the Romantics’ obsession with folklore. 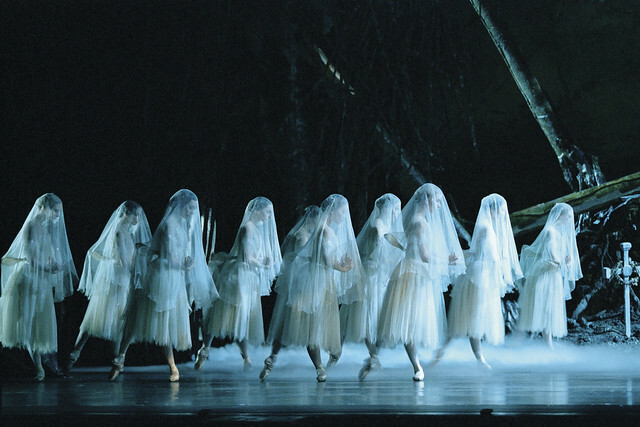 Théophile Gautier’s libretto for Jules Perrot and Jean Coralli’s 1841 ballet Giselle was inspired by Heinrich Heine’s account of a Slavic folktale, in which the ghosts of jilted maidens dance to the death any man they come across. Tchaikovsky’s three balletic masterpieces also have fairytale origins – the Russian-inflected German fairytales of Swan Lake, Charles Perrault’s fairytale ‘La Belle au bois dormant’ for The Sleeping Beauty, and a section of an E.T.A. Hoffmann folk-inspired story for The Nutcracker (director Ivan Vsevolozhsky providing Tchaikovsky’s reading list for the last two). As ballet diversified in the 20th century, so did its influences. Leading the way was the Ballets Russes, who drew not only on a more ambiguous kind of folklore (The Firebird) but also the real world (Les Noces), myth (Daphnis et Chloé) and much else besides. Special mention should also go to Kenneth MacMillan, who adapted familiar tales (Romeo and Juliet, Manon), uncovered less well-known works (Las hermanas), drew on real-life stories (Mayerling, Isadora, Anastasia) and created entirely original works (The Judas Tree). MacMillan was swimming against the tide, but choreographers today have almost completely free rein – from Christopher Wheeldon’s Alice’s Adventures in Wonderland and Will Tuckett’s The Wind in the Willows to Liam Scarlett’s The Age of Anxiety and Wayne McGregor’s Woolf Works. The stories these choreographers use might be different, but they’re driven by the same desire as their forebears – to tell a captivating story through movement. La Fille mal gardée runs from 27 September–22 October 2016. Tickets are still available. Mayerling runs 28 April–13 May 2017. Tickets are open to Friends on 7 December 2016. General tickets will be available on 24 January 2017. Ballet is a good way to tell a story and each movement is a paragraph of a novel or a story. Would have loved to se a ballet version of Henrik Ibsen's play Peer Gynt, with the magnificent score by Edvard Grieg! Peer Gynt is available as a ballet!